Eindhoven. One of the large cities in the North Brabant Province of the Netherlands. The city is situated in the southern part of the country. It is famous for the technology and innovation projects and also for the football champion team of the Netherlands, PSV. Recently, the image of Eindhoven is not only industrial but also trendy. It offers new point of views about Dutch cities. Still wonder why you should come to Eindhoven when visiting the Netherlands? Spending a day or two in Eindhoven is not complete without a visit to the Philips village. In the old days this small part of town was the residential part of Philips employees. Nowadays it has become a common residential block. Still around the old village area is a stadium. A visit to the PSV / Philips stadium is also a must. Check the website for further information when you want to have private or groups tour. Want to know more about the history of Philips in Eindhoven? Go to the Philips Museum. There are two options to go from the stadium to the museum at the city centre. Either you park your car in the parking lot under the stadium, which is two times cheaper than those at the city centre. Then walk from there to the centre (10 minutes of walking). Or you park at the city centre, preferably at the Admirant parking lot because it is under the Philips Museum. The price is however higher than the parking lot outside the centre. Eindhoven is also famous because the city is the melting pot for creativity. Everywhere you go you can find works of art, innovative creations from students or local artist. But if you want to go deep, why not go to the Designhuis (design house) near the town hall. This museum is where you can enjoy contemporary and modern art and also the latest creation from the fashion academy. Right next to the Designhuis is Van Abbe Museum. This is the icon of Eindhoven. Van Abbe celebrates its 80 years anniversary this year. Together with The Noord-Brabants Museum in the city of Den Bosch, this year they expose the works of art of Jheronimus Bosch, a famous name in Dutch art history. For those of you who are craving for some fine arts, a visit to these museum is a must. Eindhoven is a very different city than Amsterdam, Leiden, or Utrecht. You can compare it with the modern Rotterdam. Unlike Rotterdam, which has huge riverbanks and docks, Eindhoven has a small river which runs across it, de Dommel. In de surroundings of this river you can walk the historical path of Eindhoven or just enjoy the greenery and parks Eindhoven offers. The Eindhoven’s tourism board has made a special route for this one. You can check it here. The walking tour will take around 90 minutes. When you want to grab something to eat or drink in Eindhoven you have several options. There are three famous streets in Eindhoven which offer not only good food, but also good company and atmosphere. Stratumseind and Dommelstraat are two of the most important dining and hang out streets. In these streets you can find bars, pubs, cafeterias or even boutique and luxurious restaurants. Go to Dommelstraat if you want to eat Spanish Tapas, Italian food, Greeks Gyros or Argentinian steaks then go to the Stratumseind when you want to chat more with the locals at the local bars. Wander around these small yet elegant streets: Kleine Berg and Grote Berg. This part of the city, de Bergen is famous for its artistic characters. In these streets you can find authentic and eclectic shops, restaurants, galleries, boutiques, trendy places. Recently Eindhoven has a trendy hub where young innovative generation mingle and exchange ideas to innovative projects. When you are in Eindhoven you have to go to Strijp-S. This area of old Philips factories is now an area of fine dining, flexible working, creating new trends and cool place to hang out. Many new companies have their work space here and when they are done with working they can enjoy the great view and atmosphere at some of the great dining places there. Check the Eindhoven’s tourist board for special tour around the Strijp-S.
That is Eindhoven, the city of lights of the Lowlands. A bustling city full of creativity. Do not forget to go to Eindhoven during Glow (in November) and Dutch Design Week (October), the whole city is decorated in the context of these events. I assure you, it is pretty fascinating. 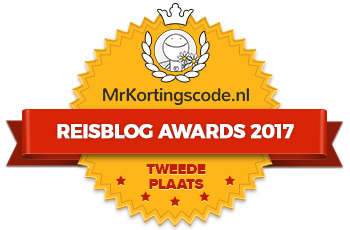 This post is also published in Dutch version here.